Huntington House 2053 series features limitless yet timeless style for the home. The sofa features a box edge back and tapered feet while panel arms with nails create a traditional profile. 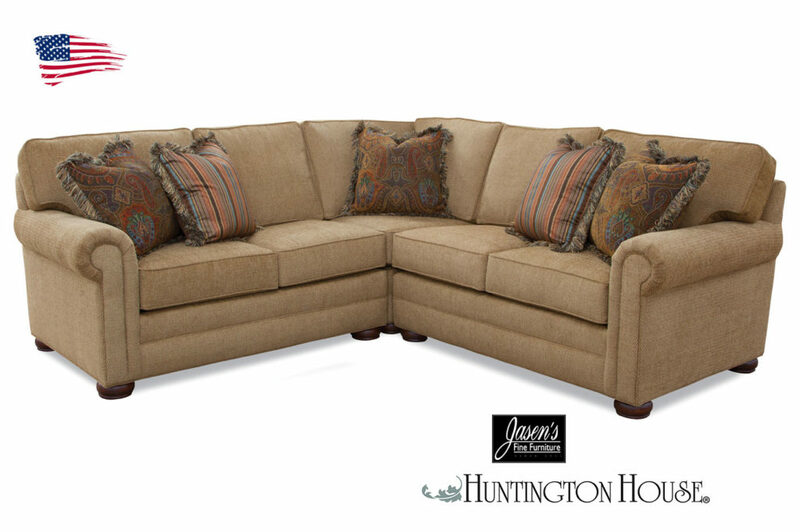 Enjoy the contemporary refinement of Huntington House 2053 transitional styling in addition to the benefits of brand-new upholstery. Pieces available for the 2053 also include sofa, loveseat, chair, ottoman and more.